The simplest way to make your WordPress blog more mobile friendly is to use one of these WordPress plugins. The latest, and more sophisticated approach, is to use a WordPress theme created with the Responsive web design approach, which means the design ‘responds’ to different screen sizes by changing the design to better fit smaller and larger screens. There are many great Responsive WordPress Themes, including the popular Alyeska Responsive Theme. Replacing your WordPress theme is far more complex than simply adding a mobile plugin, but it’s a far better approach in the long run. A plug-in is a software package that you can add to a blog to enhance its features. You can use plug-ins to add a variety of features to a WordPress blog, including to fight off spammers, add your Twitter feed to a sidebar, or integrate Google Maps into your blog. You’ll find thousands of WordPress plug-ins at http://wordpress.org/extend/plugins. Although these plugins make it easy to make your blog fit on a small mobile screen, beware that most of these plugins simply strip out the sidebars and reduce the size of the design and images in your blog. If you have a highly customized blog design, these plugins may not work at all, or may make your site look terrible — make sure you test your blog on mobile devices after you install any of these plugins to make sure you’re happy with the results. WPtouch: One of the most popular plug-ins for the iPhone and other mobile devices, this one add-on solves several problems at once. 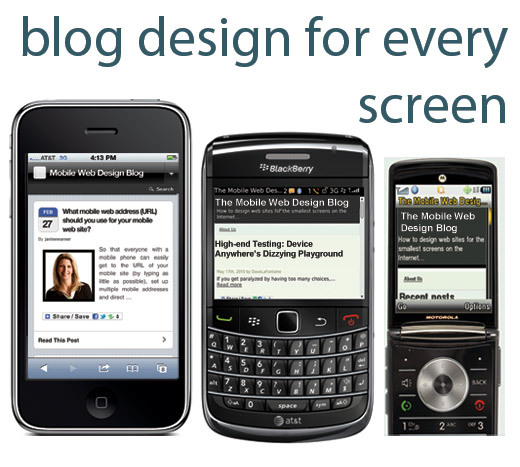 It converts the look of your blog into something akin to an iPhone App by adding a special them. It’s highly customizable so you can customize the appearance. And the developers promise, it won’t change a single line of code in your main WordPress theme. Upgrade to the pro version and you can customize the design even further. WordPress Mobile Pack: The most sophisticated of the mobile plug-ins, the WordPress Mobile Pack adds as suite of tools, including a mobile switcher, themes, widget, and mobile admin panel. That means you can take care of all your iPhone (and other mobile phone) needs with this one handy plug-in. In addition, this plug-in adds analytics to help you track mobile traffic, and a mobile ad widget integrated with Google’s Adsense and the AdMob advertising network. iPhone Control Panel: This plug-in makes it possible to add custom CSS, designed specifically for the iPhone, and directs iPhone devices to display those styles instead of main styles for your WordPress theme. In addition, you get a bookmark icon and the ability to redirect visitors to a distinct URL. iPhone-WebApp-Redirection: As the name implies, this plugin detects if a visitor is using an iPhone, iPad, or iPod and then directs them to a specified URL. This makes it easy for you to direct visitors to any page or special version of your site based on the device they are using. This plug-in can also detect phones that run the Android operating system, as well as some Blackberry phones and other devices. iPhone Theme Switcher: This plug-in lets you automatically change the theme used in your blog when someone views the blog with an iPhone. iPhone Countdown: Use this plug-in to add a count-down counter to your blog — a great way to remind visitors how many shopping days they have before Christmas, how many days before the next election, or any other date you want to make sure your visitors don’t miss. 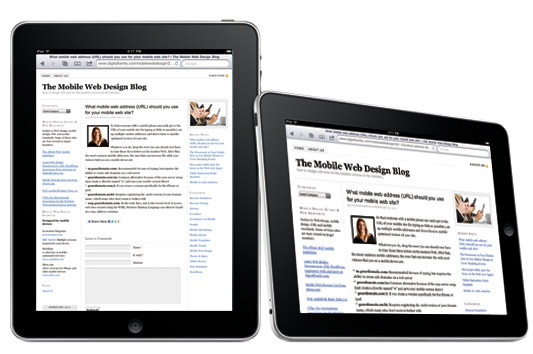 Now with the availability of using wordpress on an Iphone, sharing articles and news with people subscribed to your blog would have became far a lot easy and simple. Your article was the most helpful anywhere. Thanks so much!